We value constructive feedback, whether it is how we can improve or how we impressed you. We strive to continue to grow and make DCA Title the best that we can. We are also willing to return the favor by sharing with the world how wonderful and appreciated our partnership is. 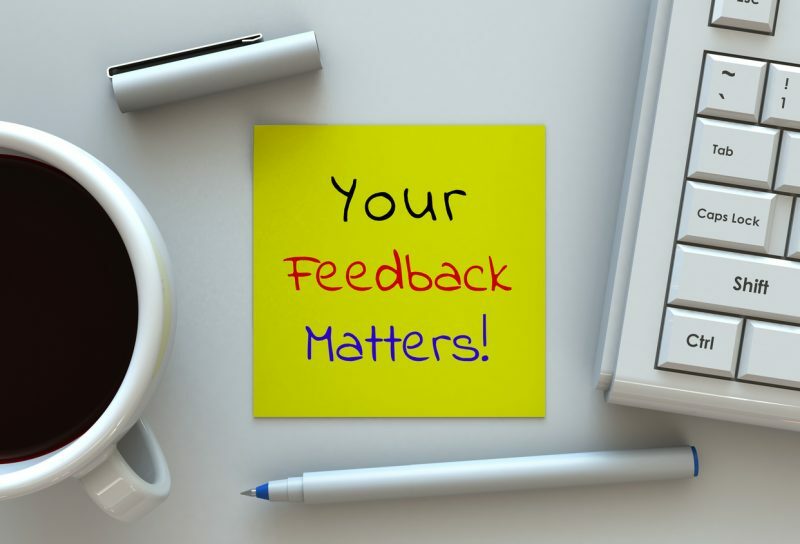 DCA Title understands that both positive and negative feedback is one of the most valuable things we can get as a business. Receiving feedback is not always easy, especially when it is not what you were wanting to hear but it makes us stronger and who we are today. Currently with the internet and social media, it is easier for us to hide behind our phone or keyboard and type our thoughts. Before hitting send take a few seconds, sit back and re-read what you wrote and have your emotions settled. Is this how you would want someone to talk to you? Could your words be misinterpreted? Are your comments constructive? If you have time and want to really make someone feel good mail them a letter or card, pick up the phone or tell them your feelings in person and when someone makes your day, pay it forward and make someone else smile. If you would like to share your experience with us, please send us an e-mail, visit one of our social media pages or give us a Google review. We know time is valuable so we greatly appreciate your feedback.